Brown PREMIUM PU Leather Vertical Executive Side Pouch Case Cover Holster with Belt Loop Clip and Magnetic Closure for Spice Mi-354 Smartflo Space@327 Rs [Mrp:-327] - Onlinedeals.discount - A leading product discovery website. Find the true prices of products, read reviews and buy top brand products at reasonable prices. Specifically designed for the Spice Mi-354 Smartflo Space unlike ‘one size fits all’ type cases. Magnetic closure to ensure that your Spice Mi-354 Smartflo Space is secure. Hands Free and Pocket Free. Internal part of the case is soft material, to ensure that your Spice Mi-354 Smartflo Space is protected at all times. Material: Premium PU Leather. Complete all round protection for your Spice Mi-354 Smartflo Space. 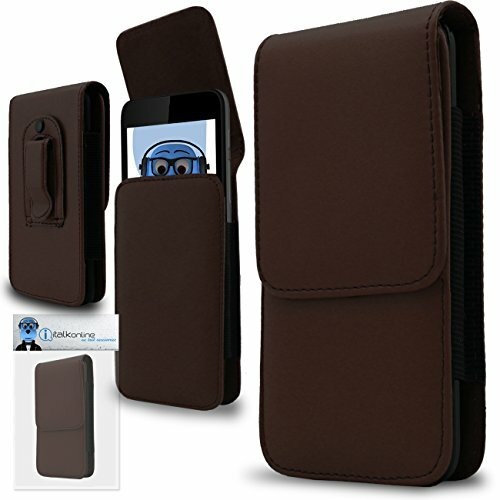 High quality premium vertical pouch is a padded carrying case with unique design that can be firmly fastened to a belt vertically for the Spice Mi-354 Smartflo Space.